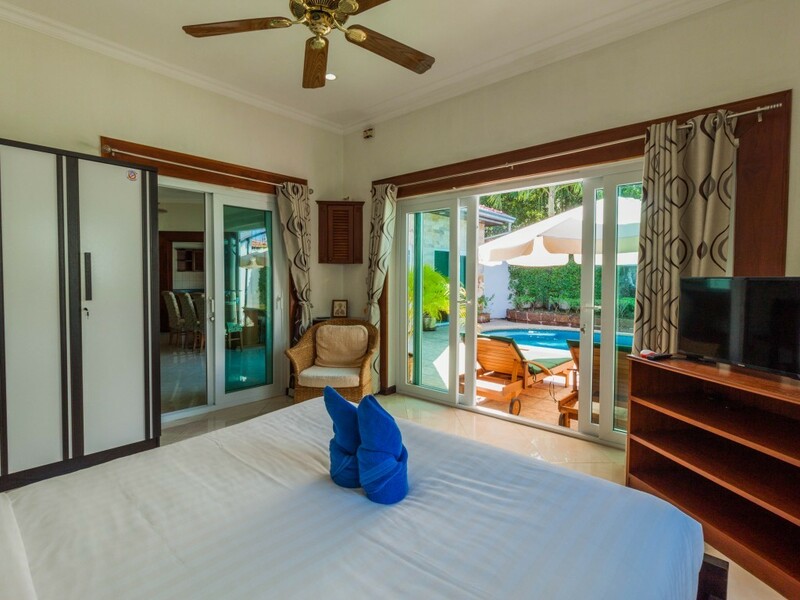 Welcome to the epitome of holidaying in style – this 5-star villa provides unforgettable holiday experiences for couples and families. 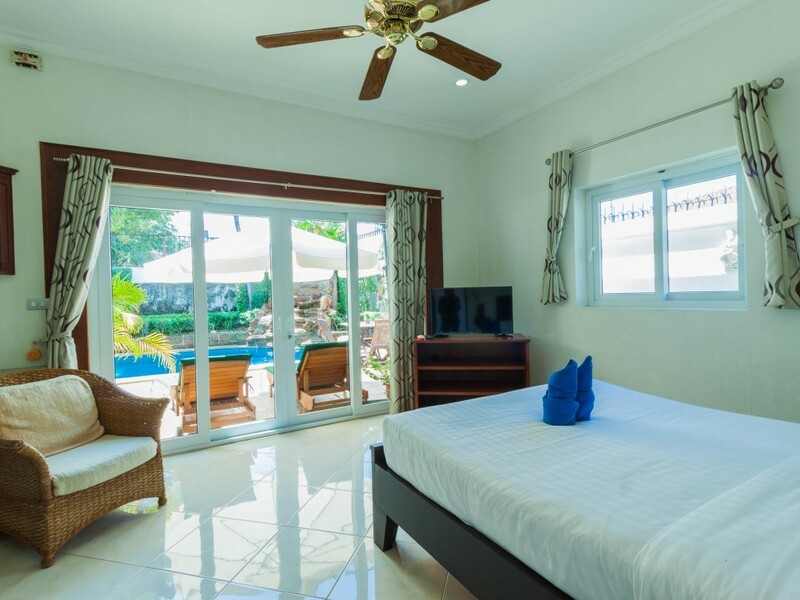 Every single aspect of the villa, from the open plan living space to the layout of the master bedroom, is custom-made to enhance the overall experience of your tropical escape. 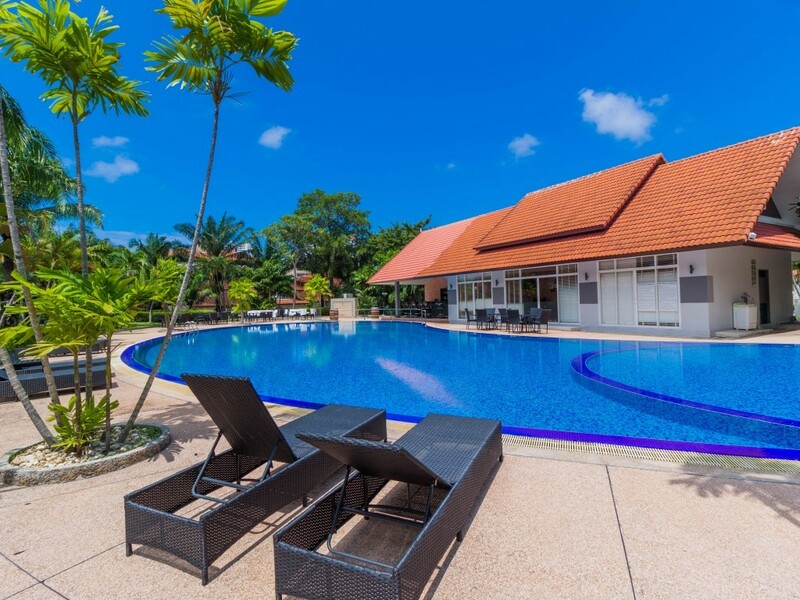 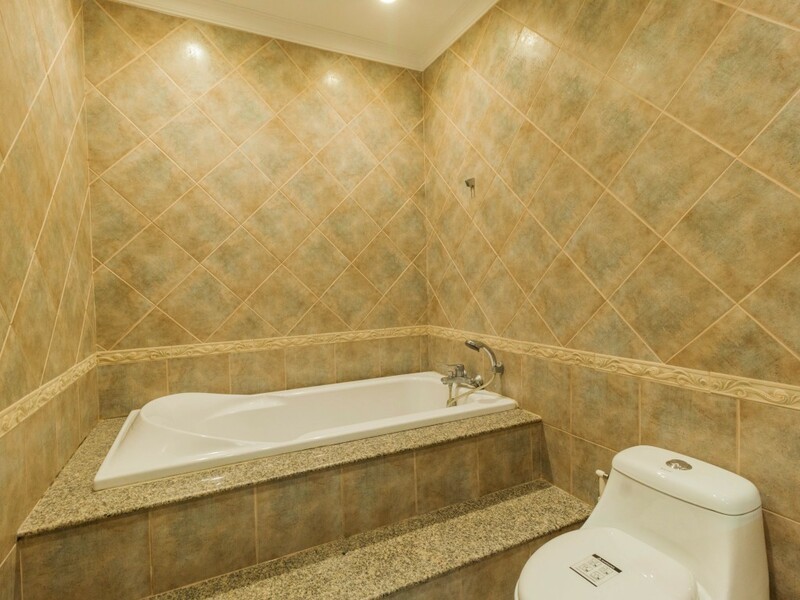 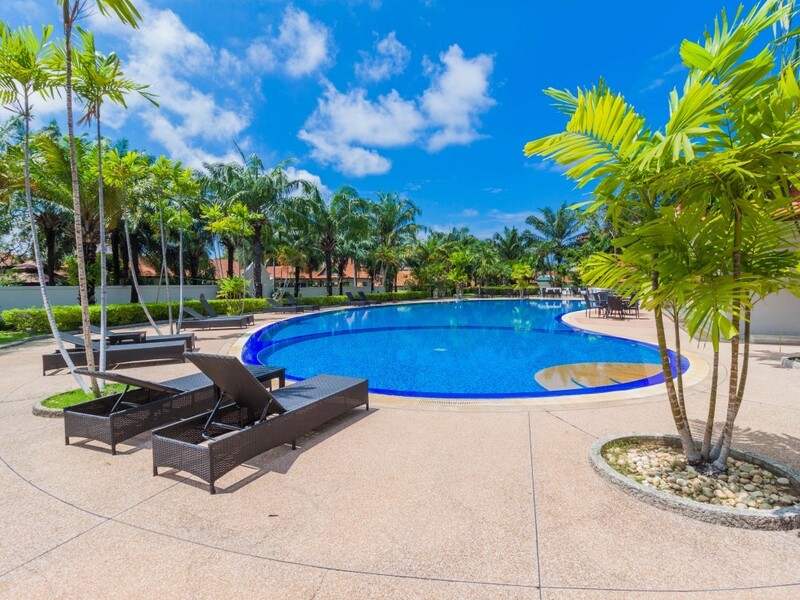 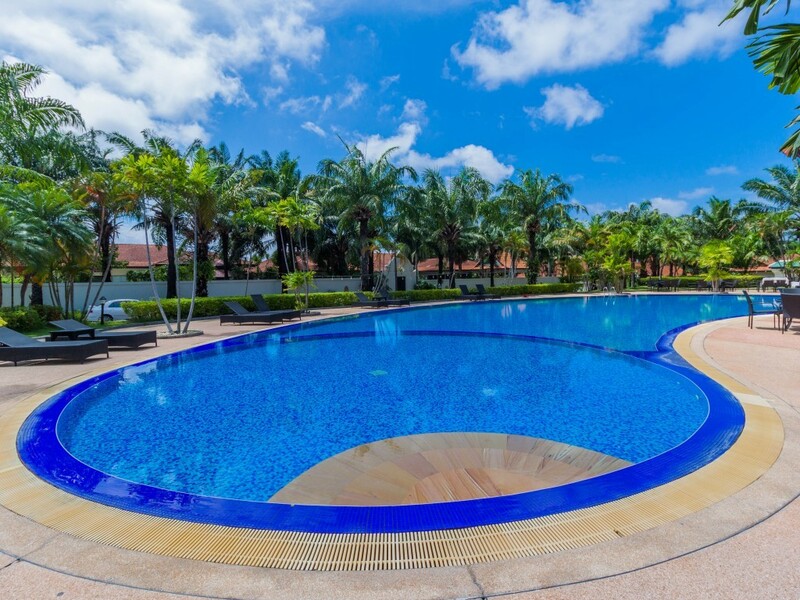 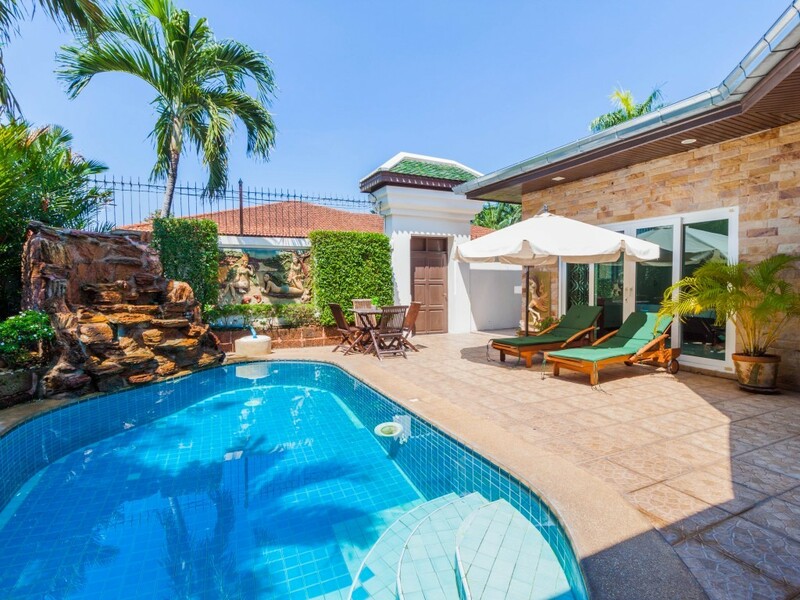 Basking within one of Pattaya’s most convenient locations, you will be situated directly one of the most popular holiday destinations, Jomtien. 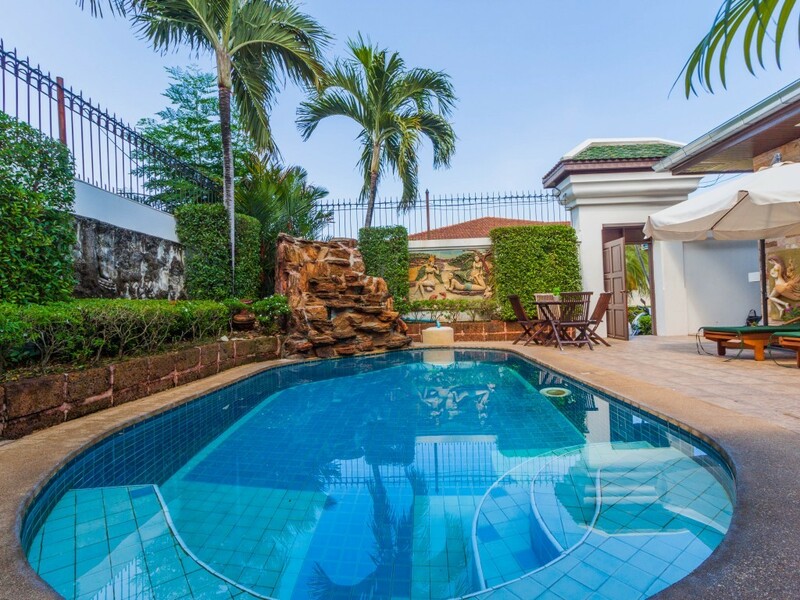 The 3-bedroom villa has an awe-inspiring garden with a private swimming pool and an adjoining deck terrace. 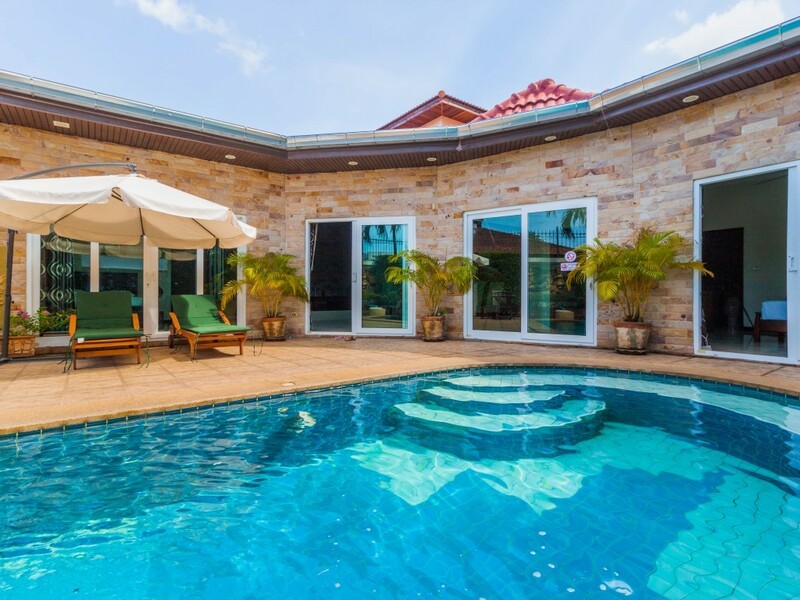 Lounge around in beach club style and absorb the sunrays with a chill beverage in hand. 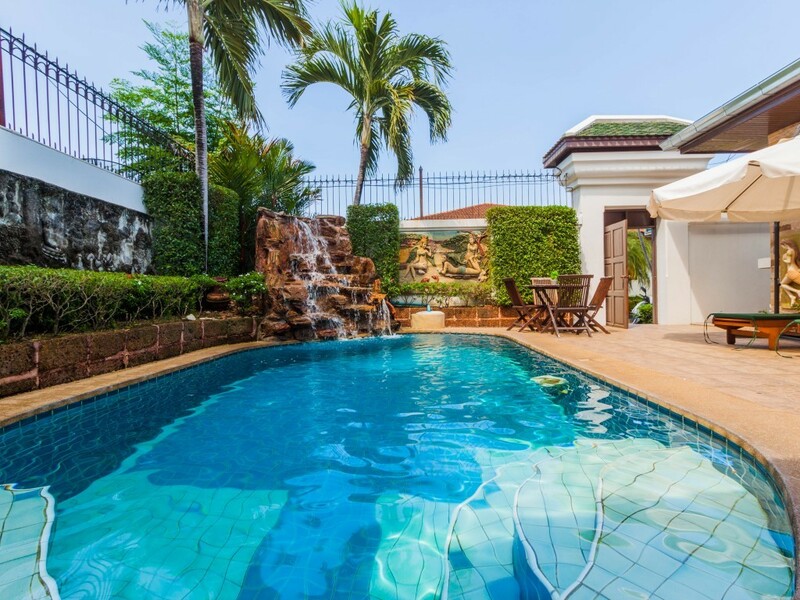 The garden is also completely private due to the high walls surrounding it. 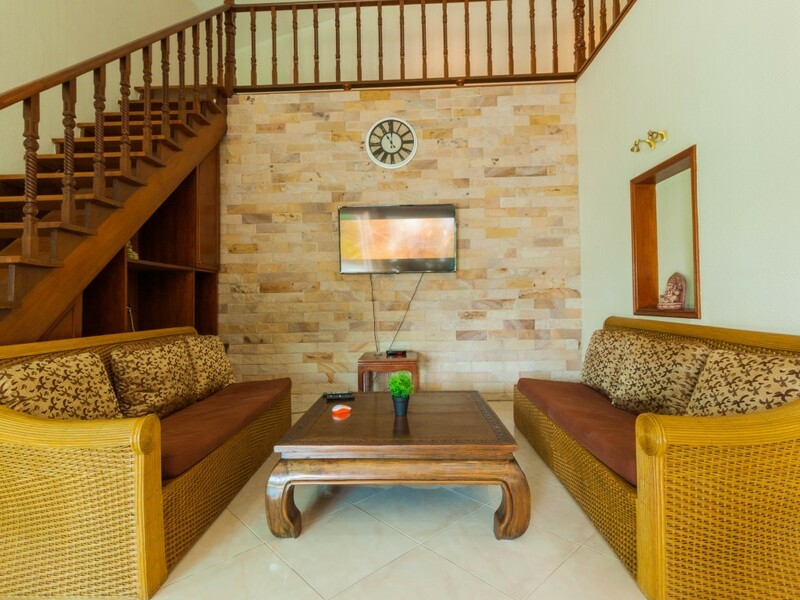 The lounge is ideally positioned looking out towards the swimming pool and terrace, which further soothes the senses. 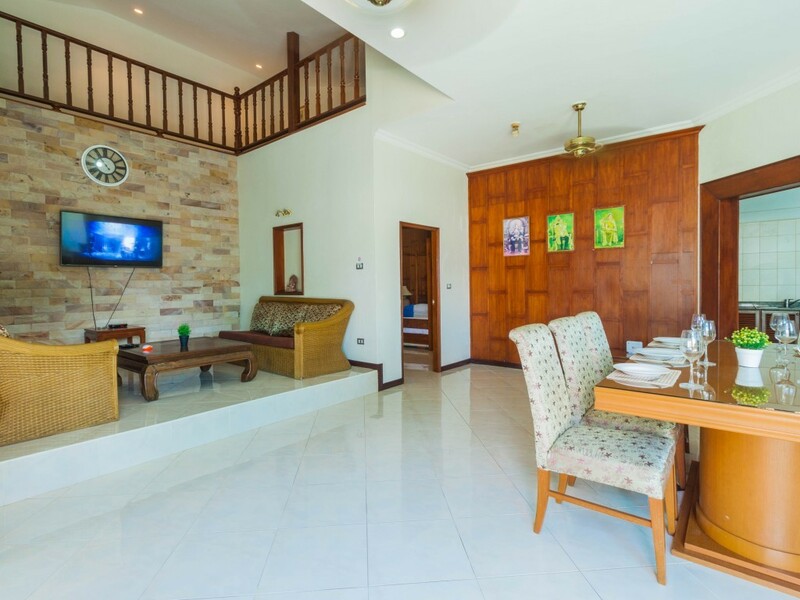 In the lounge, you will find a beautiful large sofa, and entertainment facilities that include a large flat-screen TV with international satellite channels. 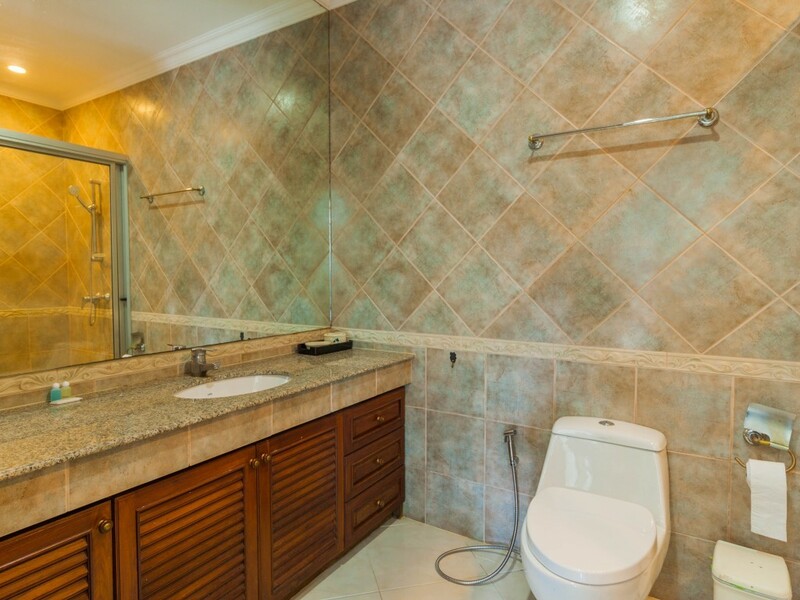 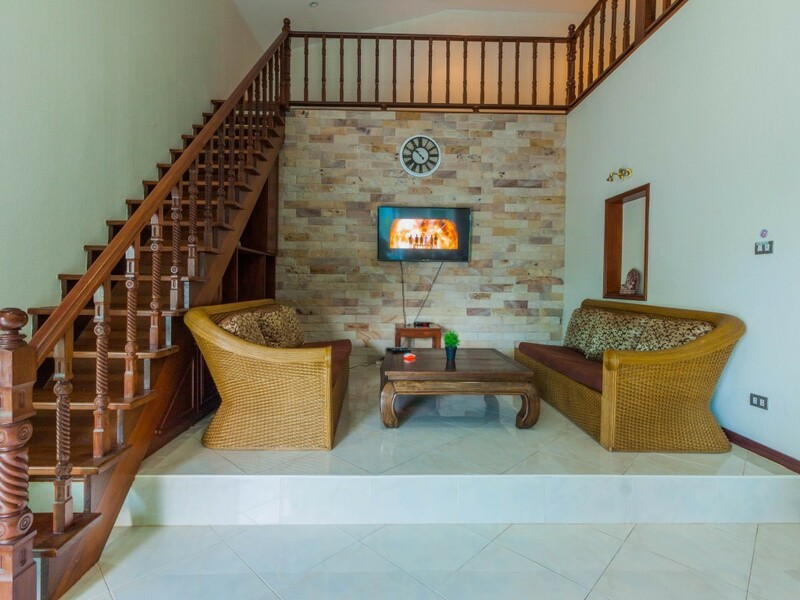 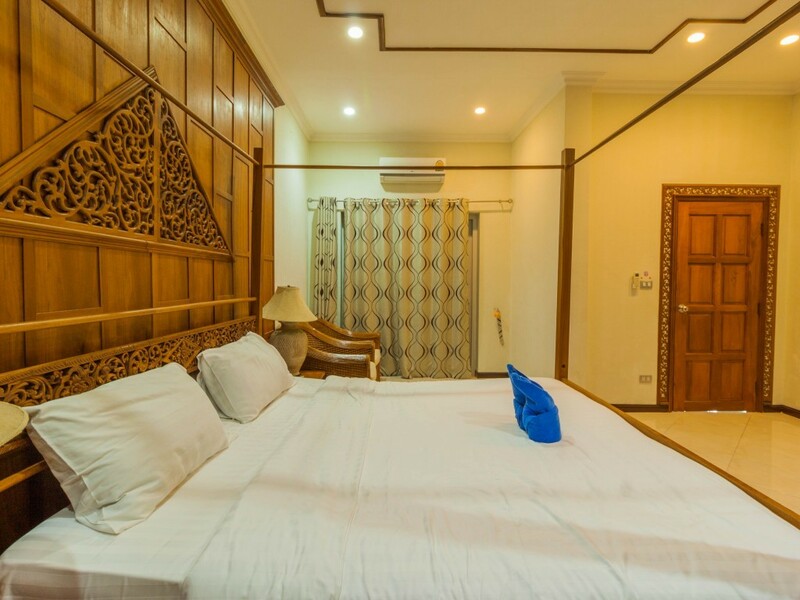 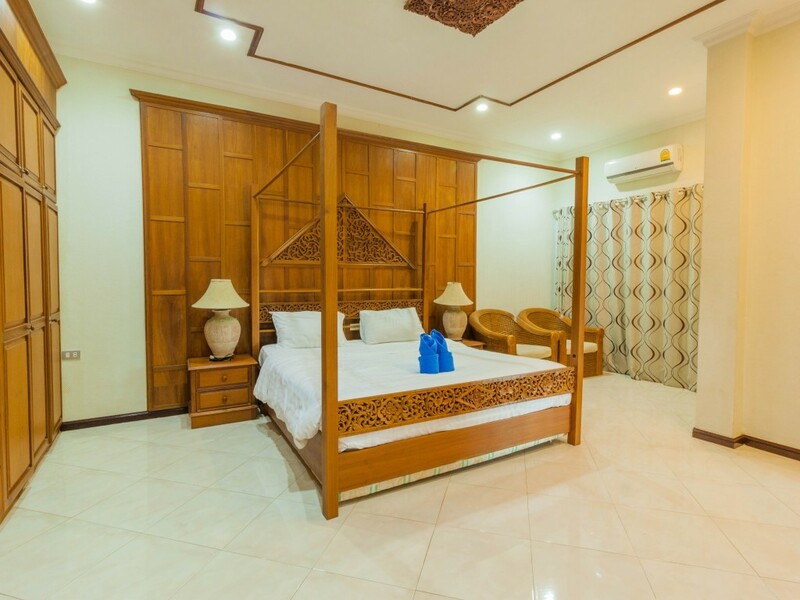 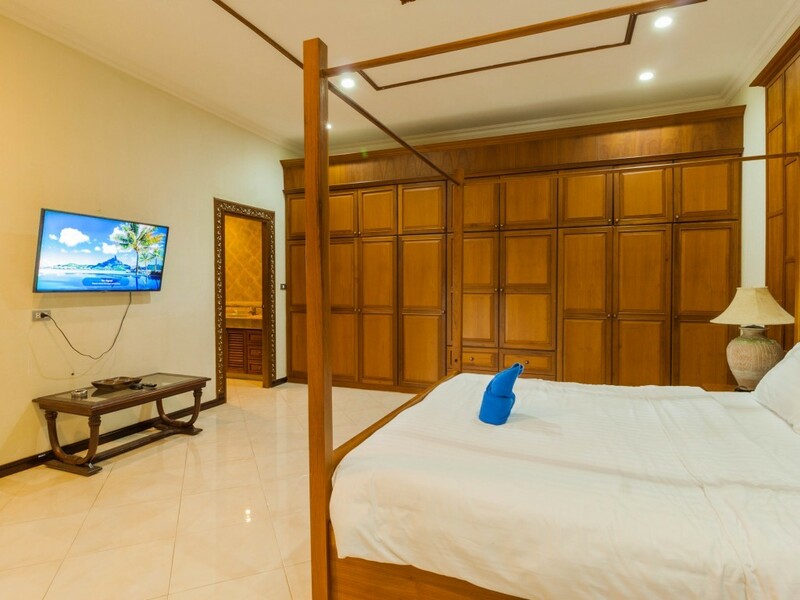 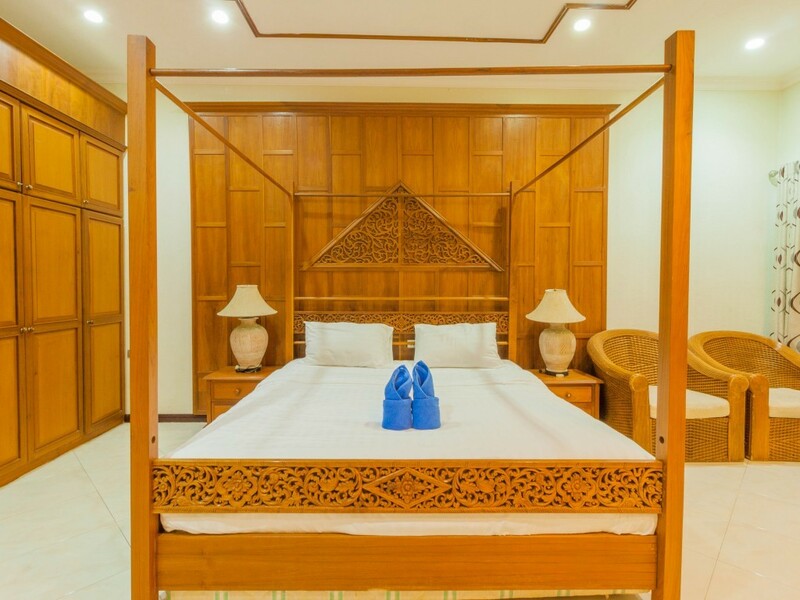 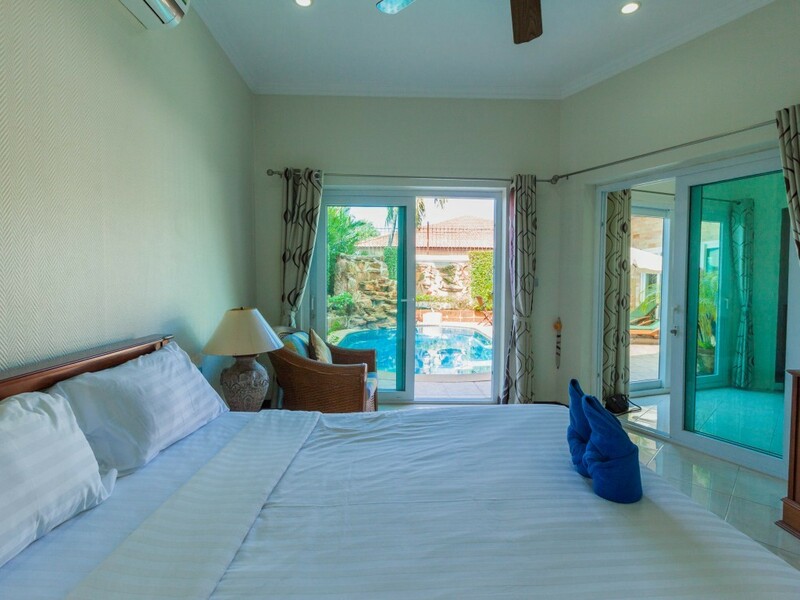 There are three bedrooms at the villa; all bedrooms feature double beds, air-conditioning, TVs with satellite channels, and en suite bathrooms with bathtubs. 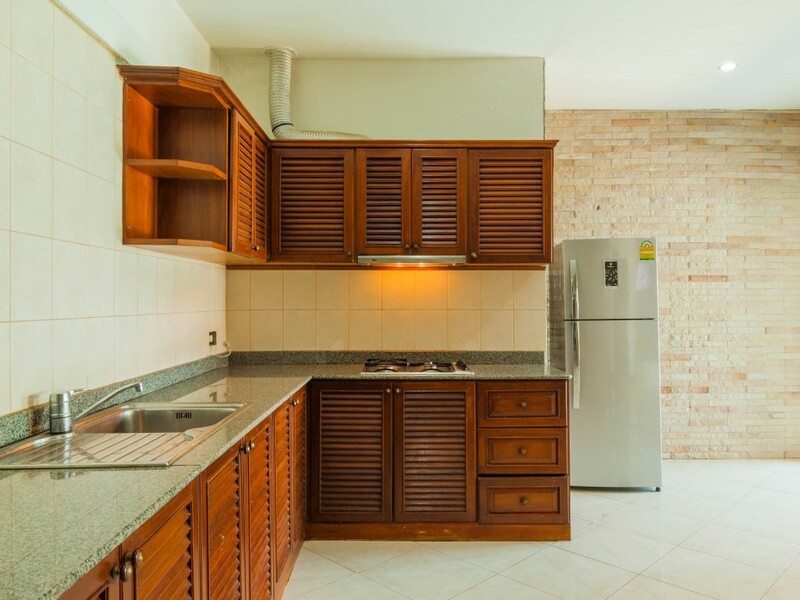 The kitchen is an integral part of the open plan living space. 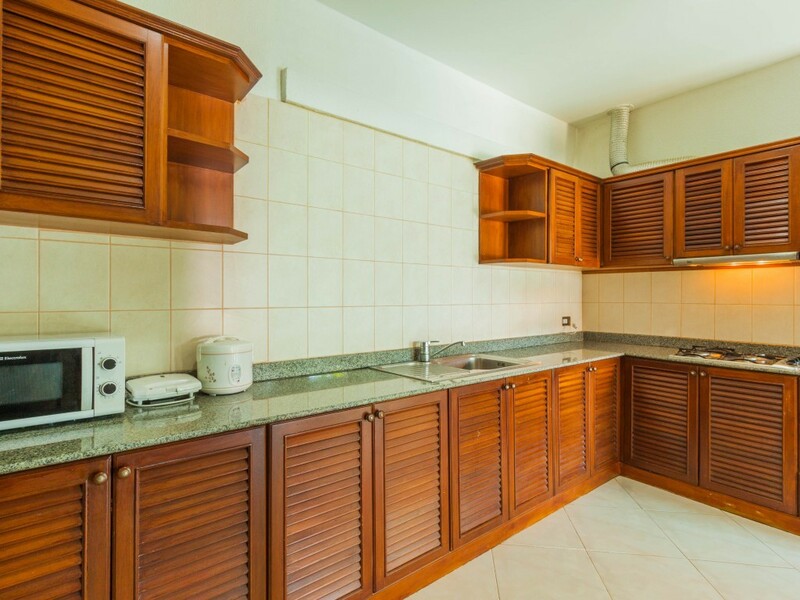 The kitchen is alive with many modern appliances such as an oven, refrigerator, microwave, and two-ring gas stove. 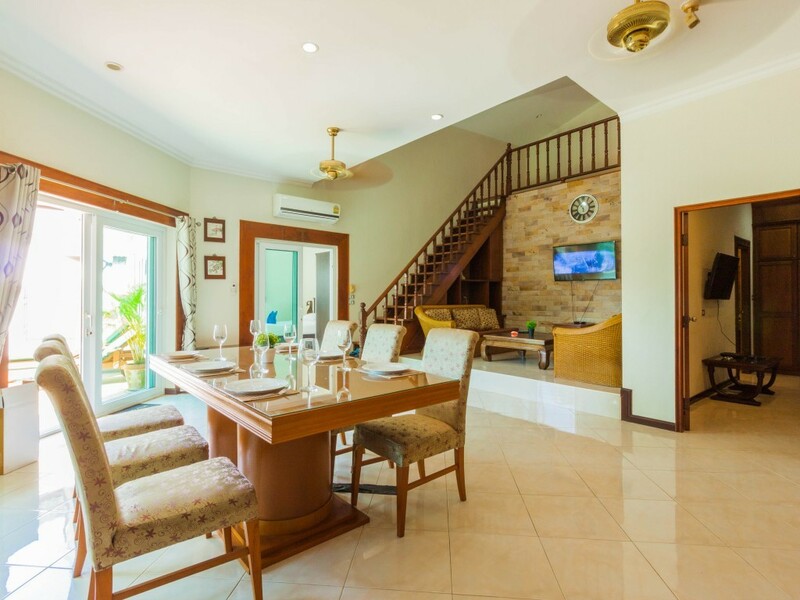 The villa has formal dining area enjoying the pool view. 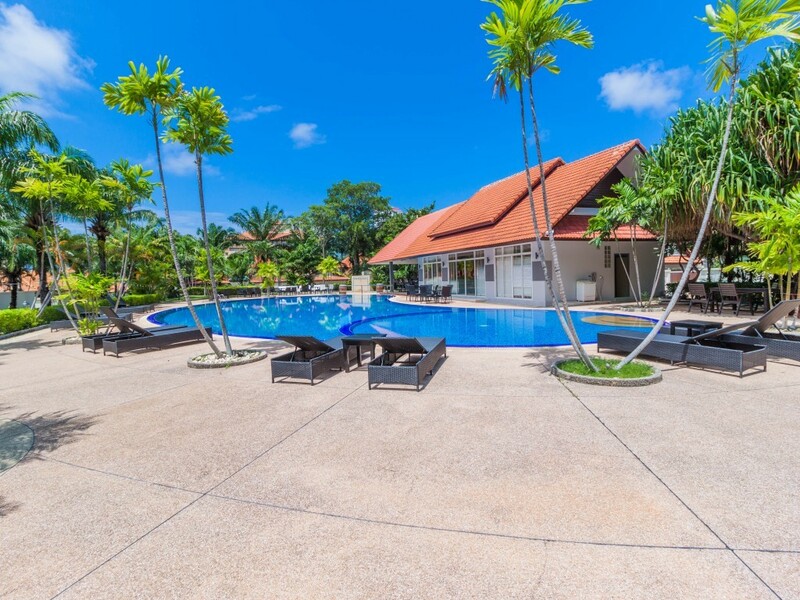 It’s a quick walk to Jomtien Beach, restaurants, bars, etc., but the secure village and mature gardens feel miles away. 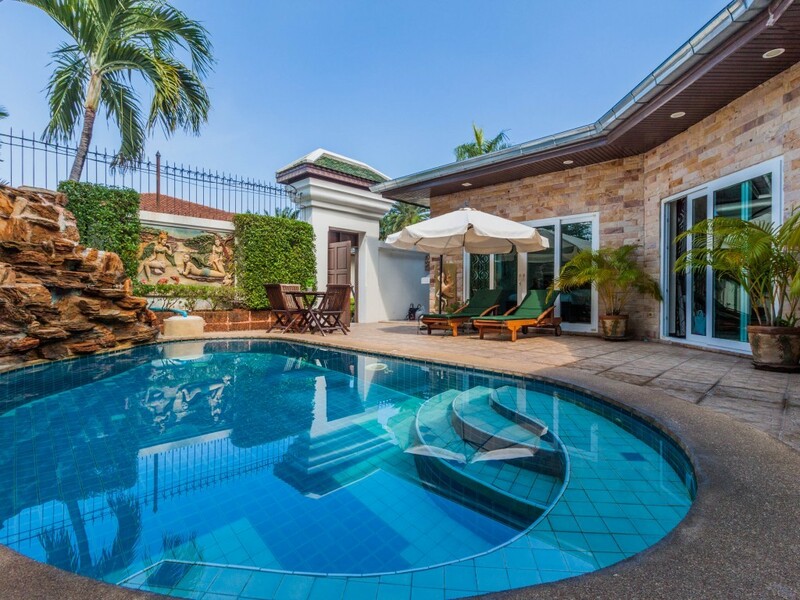 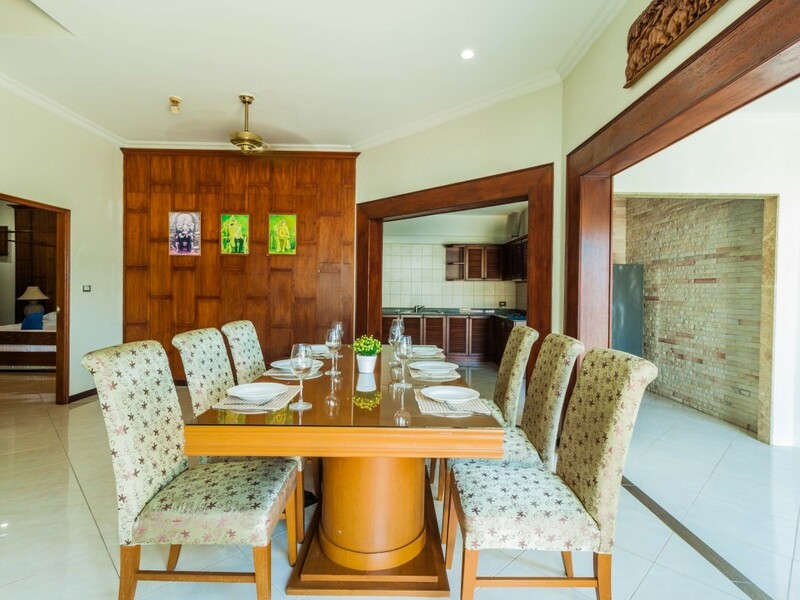 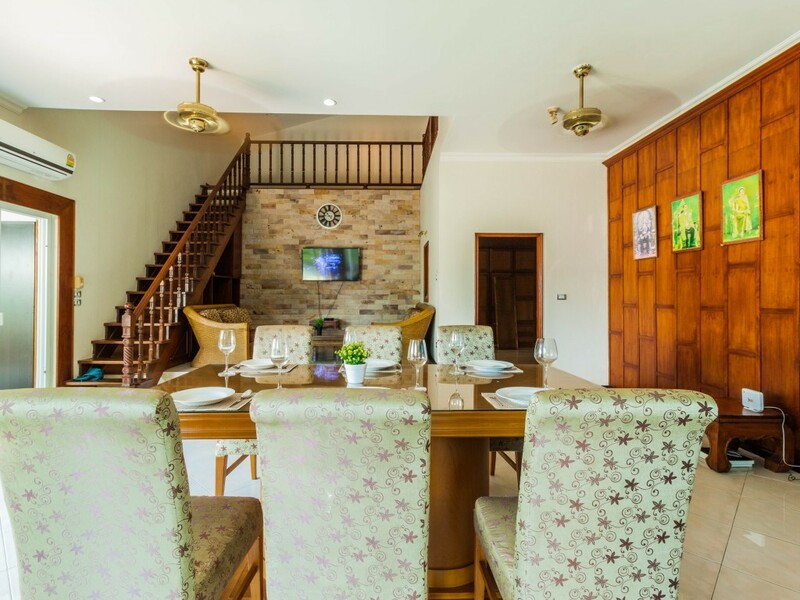 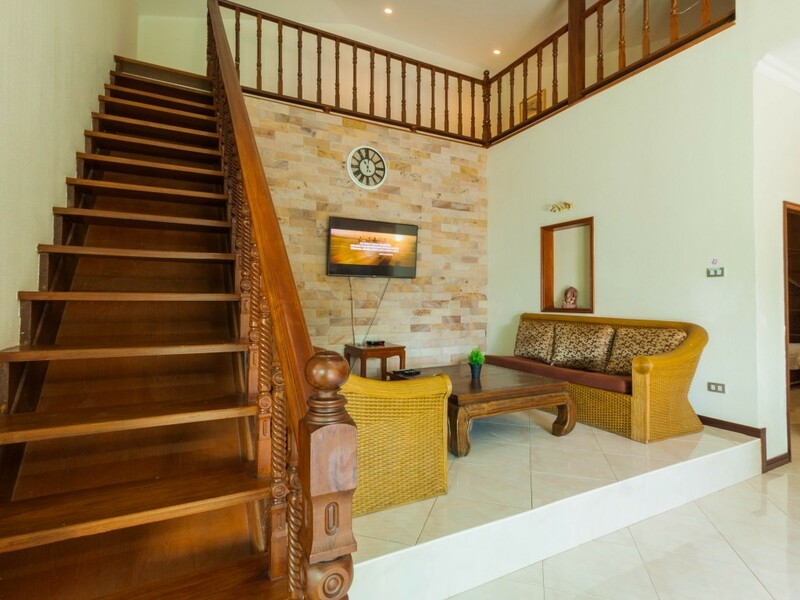 The villa sits in a quiet village a few minutes’ walk from the two places that you’ll want to go: the beaches of Jomtien and Dong Tang Beach and Thappraya Road, a major thoroughfare with easy access to shopping, international restaurants, and attractions like the Coliseum Cabaret show. 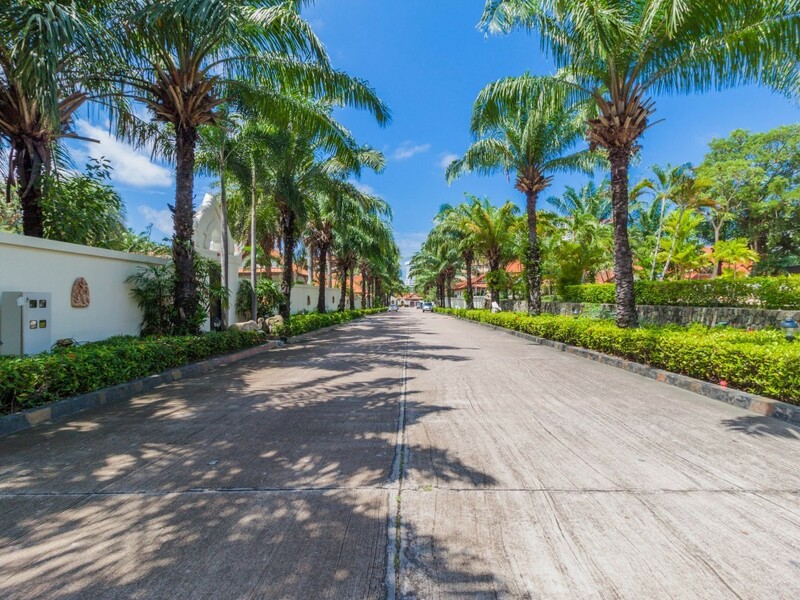 The “baht bus” taxi route is just 100 m from the villa, so getting around couldn’t be simpler—you could easily be at the Walking Street in 10 minutes.